A monthly Welsh language religious periodical serving the Church of Jesus Christ of the Latter Day Saints. The periodical's main contents were religious articles, mainly explaining and defending Mormonism. The periodical was edited by the Mormon missionary, Daniel Jones (1811-1861). 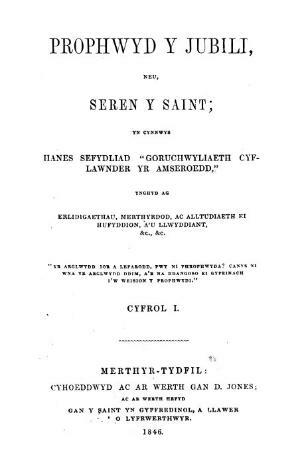 Associated titles: Udgorn Seion (1849).